A Beauty, Fashion and Lifestyle blog for ballers on a budget. I was given the opportunity to test the new reformulated YSL Luxurious Mascara and let me tell you, its DIVINE! Check out the beautiful promo video featuring Cara Develingne! Sign up with Influenster to receive complimentary products from various companies for consumer reviews. Its easy! All you do is start a profile, connect all your social media sites and take a few surveys. You will then be eligible for campaigns and receive coupons and freebies! Click my referral link to sign up! 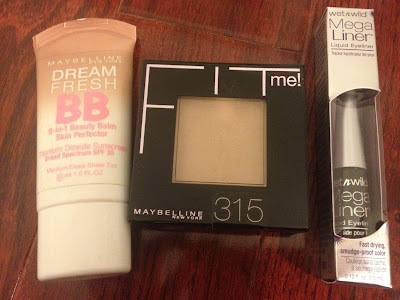 FTC: "I received these products complimentary from Influenster for testing purposes." I never realized how many beauty products I use daily until I started listing the details! I usually do soft and neutral looks, its my everyday. Today I have a job interview so I spent a little extra time and added some lashes. Here are the product details for this look! I just fill them in with eyeshadow. I use Faint from the Urban Decay Naked Basics Palette. Set with MaryKay eyebrow gel in clear. Vintage Clothing is becoming so trendy that all the prices are skyrocketing alongside its popularity. An excellent way to keep up with your vintage addiction without breaking the bank is to try and barter! To barter means exchanging goods or services for other goods or services. Basically it means to trade. Here are a few tips that work for me that you can try the next time your out treasure hunting. Remember these tips are for bartering at flea markets, swap meets, and specific vintage shops or consignment stores. You obviously cant go to the mall and try and barter. Clean Trade: is an even trade you give and you get without any money being traded. A partial trade they will accept your item and some % off the cost in cash. Getting back on track: Try my yummy Chocolate Coconut Banana Shake! I also picked up the 30 day supply of Daily Vitamins and Minerals. I figure I can sort of use this as a daily reminder to eat as healthy as possible for the next 30 days! Let's see how that works! 1. Chocolate Flavored Whey Protein Powder. My First blog post of 2013! Hope you all had a Happy Holiday Season. My new year's resolution is to be more consistent with my blogging! Today I purchased a few items from CVS because I have been so broke I cannot afford to go to MAC Pro and purchase my regular Powder, foundation and concealer. I do have a Pro discount card but it expired and I haven't come around to pay the renewal fee. I was laid off from my full time job in September and money is tight right now. I know what you're thinking! Too much coverage for every day use. Which is exactly why my pocket book and my face agreed to take a trip to CVS and find something more sheer and more economic. Finger Nail Rings: Yay or Nay? What do you think about these finger nail rings? Once a shopaholic lover of superficial fancy things now a thrifty re-seller actively trying to pay off debt and build wealth.